Painting and Mixed Media Sculpture classes at the Evanston Art Center. and Shifting Spaces. Most of the photographs portray private moments, apart from other people, even in populated environments such as the county fairs. 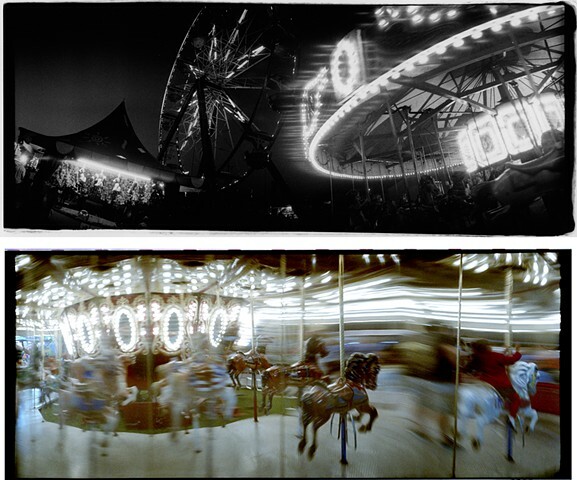 The artist works in film as well as digital photography seeking to examine relations of light and motion. The first two-person show in our new Space 900 gallery features Clark Ellithorpe - Constructed Paintings, and Judy Solomon - Ceramics in Conversation. 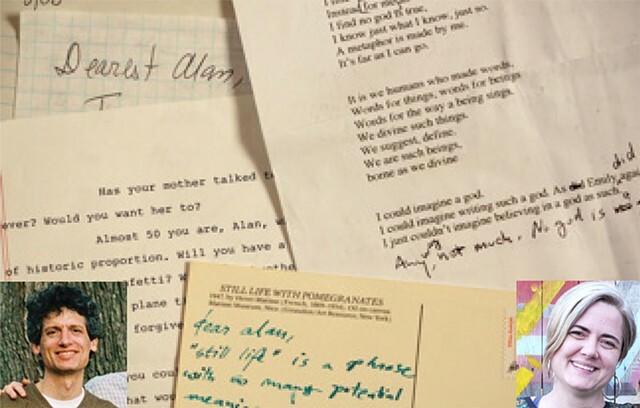 Opening Reception: Sunday, April 22, 2-5 p.m.
An exhibit of handwritten letters and poems hanging from the ceiling and walls of the gallery, with a letter-writing interactive station for the public This immersive exhibit showcases 13 years of correspondence between two poets, Alan Shefsky and Abe Louise Young. Writing letters is a precious form. In Space 900's upcoming exhibition, Poet to Poet: Living in Letters, two poets explore this lost art. Co-sponsored by Northwestern Universities' Dept. of Performance Studies, this exhibit offers 100+ handwritten letters and poems hanging from the ceiling and walls of the gallery. They are touchable and readable, with a letter-writing interactive station for the public. Provided with art supplies, envelopes and a clothesline of over 100 letter-writing prompts, visitors are also invited to compose a letter of their own. With an open invitation to touch, read, and interact with letters, viewers bear witness to language at its best. 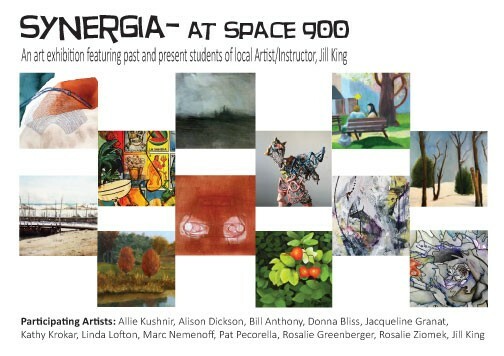 Sponsored by Northwestern University's Department of Performance Studies, the exhibit will run from April 13 through April 17 at Space 900, a community-based art collective and exhibition space. Abe is a believer in the power of words, generosity and vulnerability to make meaningful change. She was nominated as Best Activist in Austin 2017 by the Austin Chronicle for her work mobilizing hundreds of people to prevent homelessness by building personal resource-sharing networks with families in poverty. Young is the co-director of Prizer Arts & Letters, a free center for socially engaged arts and literature. As a writer, she publishes essays and poetry in magazines such as The Nation, Sierra, New Letters and Texas Monthly. She is the author of Heaven to Me: Poems (Headmistress Press) and Ammonite (Magnolia Press Collective.) Her long poem about Alan Shefsky's friendship, "Poem to a Friend Growing Lighter and Lighter," won the 2017 Marika and Jan Vilcek Prize in Poetry from the Bellevue Review. Alan was born in Chicago in 1959, and died of a glioblastoma brain tumor in 2014. Shefsky works was published in many literary journals and performed at a number of venues in Chicago. He is the author of Amelia Absent, Amelia Present (Clay Springs Press, 1995) and What Emily, "a playful, inquiring romp into the inner life and poetical line of Emily Dickinson" (Magnolia Press Collective, 2011). His last collection of poems, Glee (Magnolia Press, 2012), was written before, during, and after Shefsky's diagnosis with a glioblastoma brain tumor. 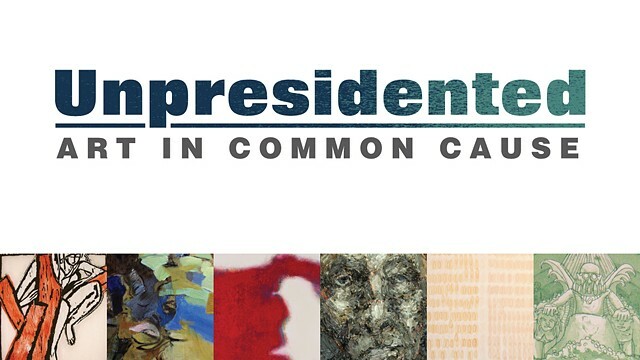 recipient of an Illinois Arts Council Award for poetry. 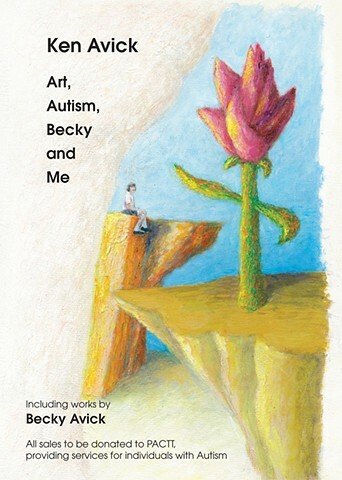 My daughter, Becky, has autism and developmental delays. She has also always loved to create art. My paintings portray surreal landscapes as visual metaphors for the feelings of someone with autism. I place images of Becky within these worlds. 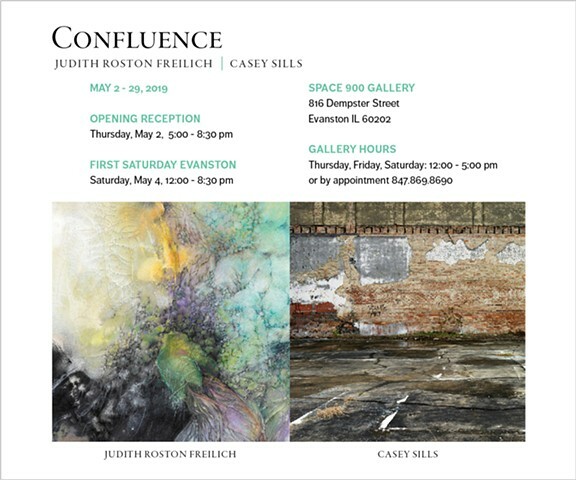 In this show, Becky and I share the gallery space and our joint need to express ourselves through our art. to each artists’ chosen charity or organization. Bert Menco, Karen Perl, Joyce Polance, Nancy Rosen, Allison Svoboda, Diane Thodos, Tamara Wasserman, and Fotios Zemenides. 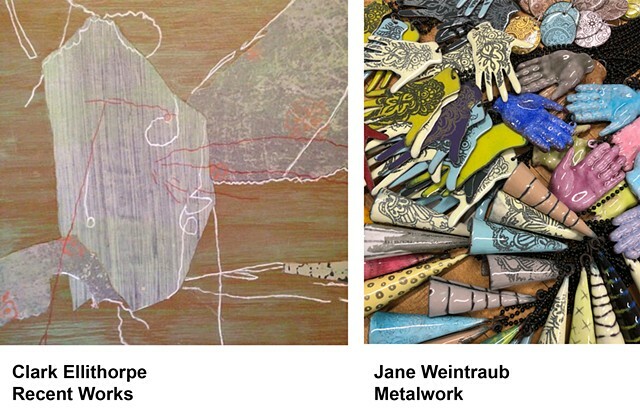 Artist’s Reception: Saturday, February 4th from 6 - 9 pm. 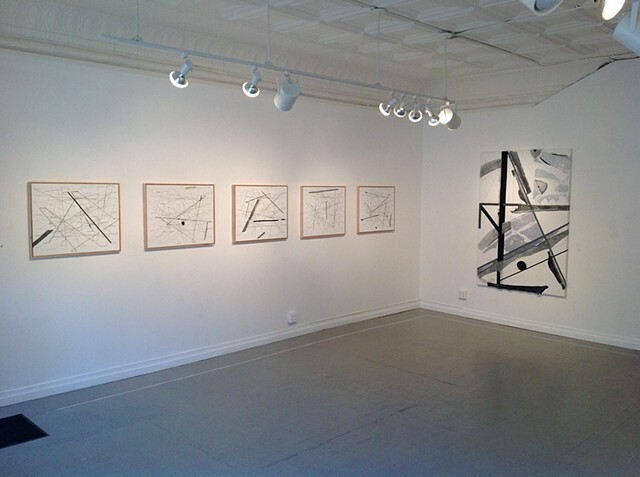 Artists’ Talk: Sunday, February 5th at 1 pm. The experience of place becomes enmeshed with memories and imagination until the location where you find yourself standing can no longer be defined by its physical attributes. A place saturated with the familiarity of personal memories can be comforting and reassuring. Or it can be as strange and disquieting as contemplating how it must be for a guide dog who no longer has anyone to guide. Karen Perl began her studies at the School of the Art Institute of Chicago while still in grade school. 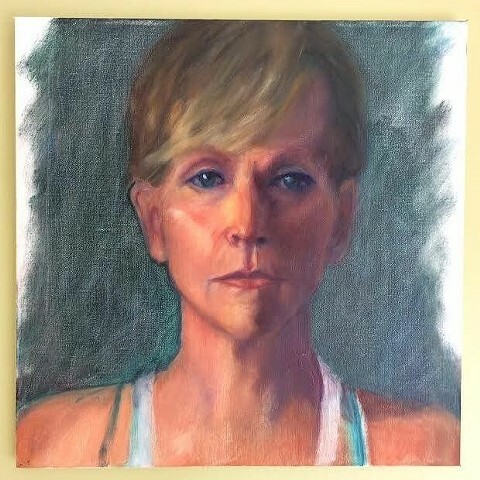 After several years in various colleges studying everything from physics to psychology, she finally returned to the Art Institute, where she earned a degree in drawing and painting. An exchange program took her to Dublin, Ireland, for a year. There, inspired by a foggy, dreamy landscape and under a spell of homesickness, she began to paint from her dreams and imagination. Years later, warm golden sunlight brought her outdoors with her easel for a two year period in the south of France. But her relationship to the mystical, emotional dimension of painting that she took refuge in while in Ireland would come to life again. After nearly 10 years of painting in the streets of Chicago, she brought her easel back inside. Cityscapes began to morph into dreamscapes, no longer merely descriptive of a physical location, but something deeper and mysterious. With a career spanning six decades, Sylvia Schuster is an established artist who is recognized as a master printmaker. Her demonstration of the print technologies; dry point, etching, aquatint, soft ground and engraving, combined with her deep understanding of the human form, take these skills to the extreme. Ms. Schuster’s pen and ink, charcoal, and pastel figure studies show reference to classical Greek and Roman tradition. This show is presented by Harvey Pranian Antiques, harvey@harveyantiques.com . Lisa's paintings are beautifully executed and intense. They always capture the likeness and psychology of the model, and she imbues each work with an intensity all her own. THEN AND NOW: mini-retrospective work by the core collective, plus new gorgeous mobiles from Evanston's best jeweler Peggie Robinson! After the long long, long (did I mention long?) winter, we are thrilled that buds are finally back on the trees and that we can finally be out and about again. Here are the exciting events coming to Space 900 in the next month. Please join us for any or all of these events! 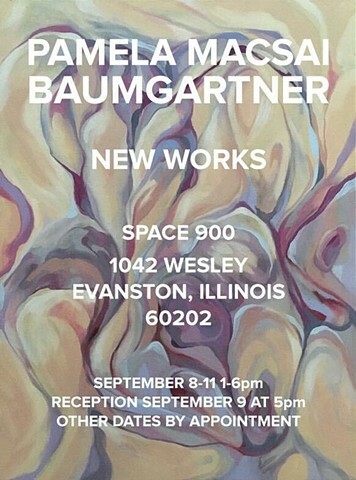 Evanston’s long-time favorite jeweler Peggie Robinson will be presenting new work with local jewelers Rhonda Storm and Debbie Giese. One weekend only! Don’t miss it. He’s back! Open to musicians and music lovers alike, this monthly jam run by Donovan Mixon never disappoints. For May, the tunes will be Daahoud, Long Ago Far Away, Moose the Mooche, Beatrice, Coral [K. Jarrett], Inner Urge. Thursday May 1, 7:30- 10 pm. New breathtaking work by two core members from Space 900. 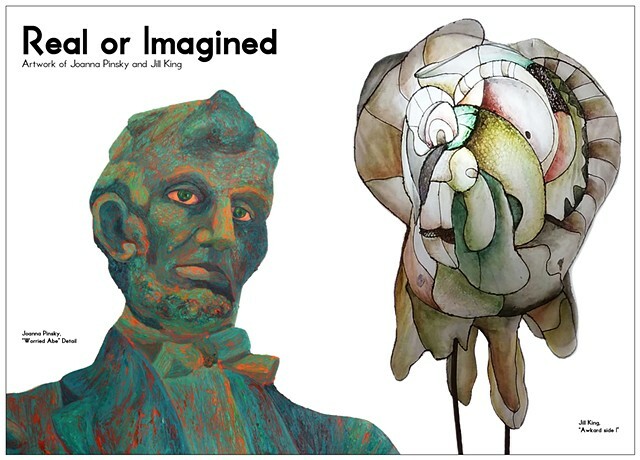 King George (1402 ½ Greenleaf, around the corner from Space 900) will feature new art work by Jill King (Artists Seeds) and Alice George (Serious Play). A poetry open mike will feature members of Alice's Serious Play poetry group. The new Sketchbook Brewing Company will be pouring samples from approximately 5-6:30! Poetry reading at 7 pm. 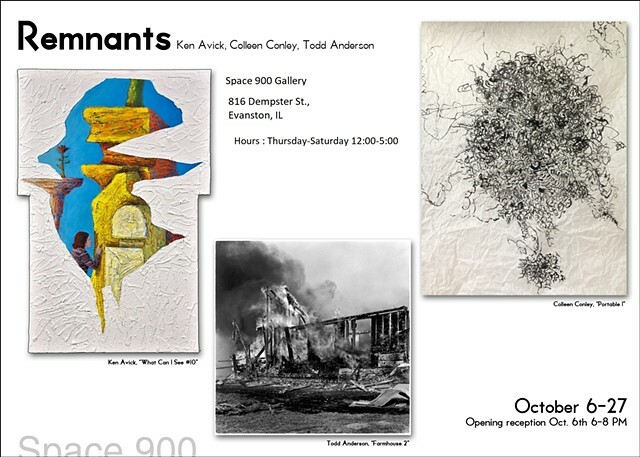 Space 900 will also be open with Clark and Ken’s show from 5- 7 pm. Friday May 9, 5-8 pm. form, movement, color, and action. Join us this Thursday! If you weren’t at JPS for the last jam session on October 24th, you missed a historic event. The man himself, guitarist George Freeman, brother of the late Von Freeman showed up. When asked what he wanted to play, George simply ripped into the sly intro riff for ‘Red Top’, to which the rhythm section responded with an equal level of swing. Man, did he bring it! Along with drummer Joe Jenkins, bassist Herman Martin as well as tenor saxophonists Walter Clark, Bernard Scavella, Reggie Hardan and Mike Finnerty, it was a inspiring performance. First timer ‘Balkan’ percussionist Terran Doeherer showed up to seamlessly join in with drummer Michael Riendeau, pianist/vocalist Mick Archer and bassist Andrew Wilkins. It was a special treat to have Maja Rios there, even if you sang only one tune. There were others as well, however in the interest of time, I thought it better to get this out now instead of waiting for my memory to kick in! I will have a short video up soon. The JPS Jam has morphed into a workshop format. We are still on for the tunes from last session since we didn’t get around to all of them. Bernard Scavella wanted to play Along Came Betty and there were some other great calls during the night. So the standing list is still: Lover, Bluesette, Old Devil Moon, Moose the Mooche, Long Ago & Far Away, Whisper Not & Freight Trane. "Architectural Fragments and Other Heroes"
On the evening Friday September 27th, the West Village neighborhood of Evanston transformed into a vibrant cultural destination as a dozen local art groups, businesses, and individual artists joined together to give Evanston what it wants and deserves: a home-grown high-quality arts and culture scene. From 6- 10 pm, Space 900 helped to organize the area’s second Art Hop This DIY event featured open studios and gallery exhibitions; a wide variety of professional demonstrations in printing, weaving, sculpture, movement; a spoken work & acoustic music, open mic; and a jazz guitar performance. This fall “Art Hop” also featured tastings by Evanston’s brand new Temperance Brewery. 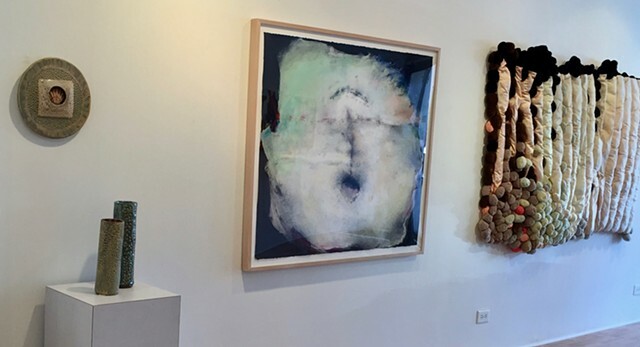 Clustered around the corners of Wesley/Greenleaf and Florence/Crain, this “Art Hop” is the second collaborative event of its kind in Evanston’s West Village neighborhood. The first Art Hop on June 8, attracted approximately 150 people to this unique neighborhood, where storefront galleries and offices sit side by side with residential homes. Over the last few years, this neighborhood—which has been often referred to as “Artists Row” —has been gaining momentum and attracting new businesses, and has gained visibility as a bustling arts community. Participants for this fall Art Hop include: Artist Seeds, Ausrine's Arts Room, Evanston Aikido Center, Evanston Print and Paper Shop, Harvey Art & Antiques, Innovative Design & Graphics, Jazz Play Studio, King George Studio & Gallery , Mill Creek Miniatures , North Shore Yoga, Perla Café, Serious Play Poetry Workshop, Space 900, and Yadi Art.